How do you portray a spiritual power? Where does the club world’s repetitive form meet traditional trance techniques? 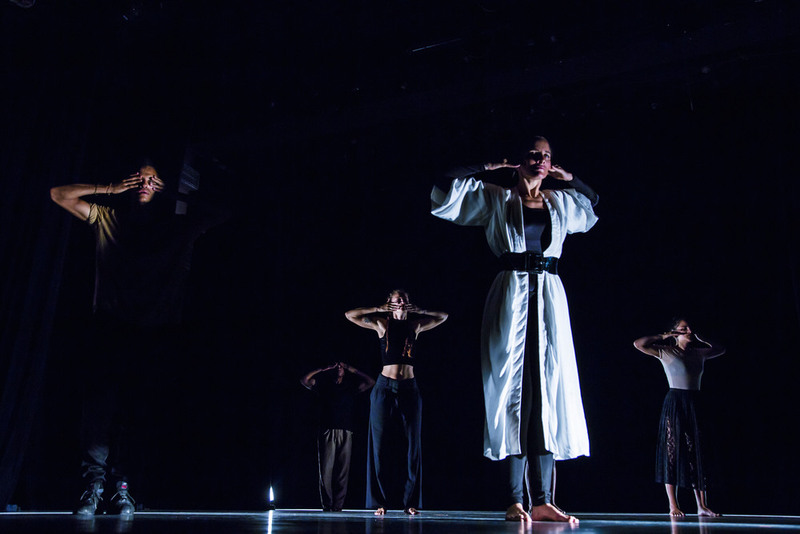 The Swedish-Cuban dance group SOMOS explores this in their new production Trans[e]ición. In Trans[e]ición, the audience is invited into a space between trance and consciousness. To oscillate between an introvert and extrovert state, guided by dance and the power of the voodoo saints – using everything within us to reach the ultimate state. Collectively, intimately and individually. Trans[e]ición is a journey into the dancers’ individual expressions. Using trance techniques from the Cuban Orisha traditions and the club scene’s repetitiveness, they explore the human need to connect to something bigger than ourselves. Trans[e]ición mixes Afro-Cuban bailes folklorico, such as Arara, Bailes Yoruba y Congo and Rumba, with Hip-Hop, House, Popping and the dancers’ individual flavor. ”Make your body remember what Your ancestral soul already knows"
Trans[e]ición is SOMOS’s third production, produced in Cuba and premiered in Havana February 21st 2015, The debut was followed by several sold-out performances in Havana, Cuba, Stockholm, Gothenburg and Uppsala, Sweden. The music in Trans[e]ición is inspired by various electronic music scenes and genres such as House, Techno, Electro Cumbia, Kwaito and Kuduro. Traditional Afrocuban rhythms and songs are mixed with an electronic beat. Producer NevaDeelay has created the sound, and Axel Boman and Johan Söderberg have both generously contributed to this production. In autumn 2016, Trans[e]ición was on a nationwide tour in Sweden with Riksteatern, Swedish National Theatre for Touring. They did 66 shows playing for secondary school/high school students as well as for a night audience in theatres during September-December 2016. 2015 production with support from Stockholm Stad & Stockholms Läns Landsting. Stage floor must have a dance mat.